Fresh off winning the 2017 Blues Music Award for Acoustic Artist Of The Year and the Blues Blast Music Award for Male Artist Of The Year and directly following the release of perhaps the finest album of his long career, Doug MacLeod returns to Gainesville, Florida to play Heartwood Soundstage, Gainesville’s finest listening room, presented by the North Central Florida Blues Society. Doug is an international touring artist who writes and sings original songs that are based on his own life and experiences. He learned from the old masters and carries forward a valuable tradition. 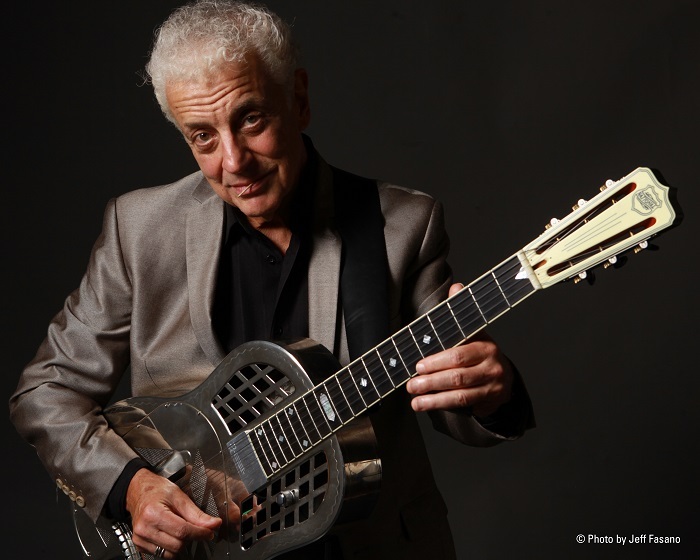 Find out why Doug MacLeod is such a special and unique talent! Join us on July 7. Doors are at 7, music starts promptly at 8. Don’t be late! “Like all great blues men, MacLeod lives his music, and the songs are not just on the tips of his fingers and tongue, they are one with his being. – Richard Ludmerer, Making A Scene! We really appreciate your support. Donate to help us keep the blues alive in North Central Florida.